Bryce Beemer received his MA in Asian Studies fro the University of Hawaii at Mānoa and his PhD in History from the same institution. 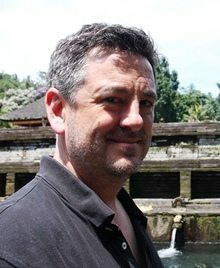 A cultural historian with a specialty of Buddhist art and iconography, he first went to Myanmar in 1997 and has returned several times since. In 2008-9, Dr. Beemer was the recipient of the Fulbright-Hays award for Graduate Research in Burma and Thailand. From 2013-2015, he was Visiting Assistant Professor, History, at Colby College, and was Research Professor, SIEAS, Sogang University (Korea), in 2015-2016. Dr. Beemer speaks both Thai and Burmese. 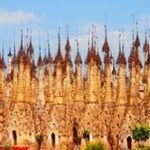 Myanmar Tour: Burma the Land of Golden Pagodas January 3 - 17, 2018 | Bryce Beemer The spellbinding gilded pagodas of Myanmar are an omnipresent backdrop to daily life in both rural and urban areas. On this 14-day journey learn about this once forbidden country's complex past, exploring Yangon, Bagan, Mandalay and many small villages along the way! Also, see remote Mrauk-U on a fascinating post-trip extension!